The 10 Best Tanning Salons in Utah! You don’t just need the summer sun to get a nice tan. Tanning salons are a popular way to achieve the look you’re going for, and Utah is home to a number of tanning experts. Tanning salons across the state offer sunless options to bronze you up quickly. The following 10 salons are some of Utah’s most tried and true. When Utahans think of tanning salons, Beaches Tanning Center likely comes to mind. Opened in 2000 and now with multiple locations in Utah, the salon is a well-known name with reliable services and affordable prices. Offering unlimited tanning packages, different types of tanning technology, and sunless tanning packages, Beaches Tanning Center takes all of your needs into account. With more of a local vibe than other tanning salons, Expressions Tanning services South and West Jordan. Here, tanning isn’t so much of a checklist item, but a spa-like experience. Doubling as a clothing and jewelry boutique, the salon feels less formulaic. Different memberships are available, as well as UV-free tanning and teeth whitening. At European Tanning, some equipment is imported from Italy and Germany. 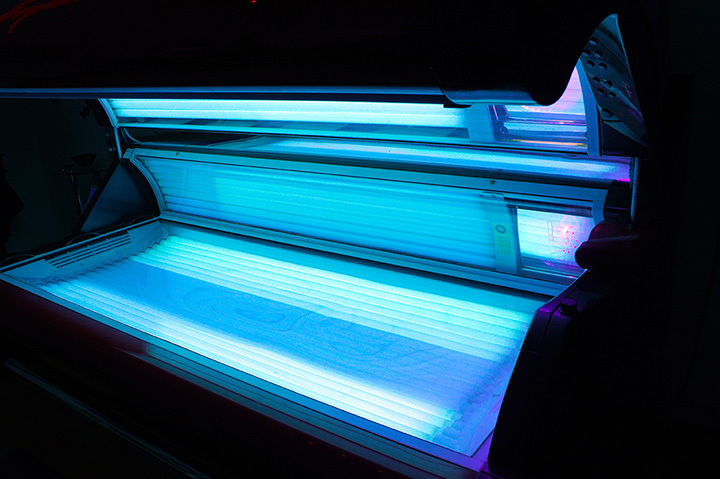 With high performance tanning beds, stand-up tanners, and the VersaSpa UV-free spray tan (among many other impressive tanning technologies) the salon also prides itself on friendly and knowledgeable tanning associates. Voted the best tanning salon in Utah Valley in 2015, 2016, and 2017, Sun Haven is an intimate salon with tanning services that are both relaxing and catered to the client’s specific needs. If you want a tan without all of the harmful effects, you can try their vitamin D tanning services, their smart tanning services, or experiment with different tanning levels. This is the best tanning salon for those who want a personalized experience. Another of Utah’s tanning salons with impressive name recognition, Seasons Salon and Day Spa is a place where you can come for all types of services. Whether it’s a haircut in their hair salon, a morning in their spa, eyelash extensions in their salon, or an airbrush spray tan in their tanning salon, Seasons Salon and Day Spa probably has all that you need and more. Park City’s only custom airbrush spray tan studio, Bella Bronze has all of the insider secrets and uses the same tanning solutions as Victoria’s Secret angels and the cast of “Dancing with the Stars.” Bella Bronze doesn’t believe in UV tanning, period. For them, a beautiful tan is only beautiful if it’s healthy (in moderation, of course). Airbrush Tanning by Bella has been featured in nationwide magazines and on Utah local news stations as the best airbrush tan in the Salt Lake City area. Although it’s difficult to find an airbrush tan that serves the same aesthetic purpose as a traditional tanning bed, this salon promises it won’t disappoint. Another tanning salon that only performs airbrush tanning, Beaute Marque claims that their top of the line tanning solution will never leave you with an orange glow. Another exciting Beaute Marque service? Tanning parties If you come to Beaute Marque with five of your friends, all of your friends get their tans for $25 and the host receives hers for $10. Body Perfect Tanning offers practically any tanning service you could dream of, including traditional tanning beds, a UV-free spray booth, FormoStar Infrared treatments, and fluorescent red light therapy. Founded in 1997, the salon offers monthly memberships, visit packages, and single sessions. There’s no question that a lot of women feel more confident and beautiful with a tan. Beautifully Bronze Salon understands this, and aims to support women through its services. Start here with a beginner’s tanning package, and once you’re hooked, you can secure a membership full of enviable benefits.